Most people refuse to eat okra. They complain because it’s too slimy. I get it. I don’t like sautéed okra. However, when properly prepared okra can be delicious. 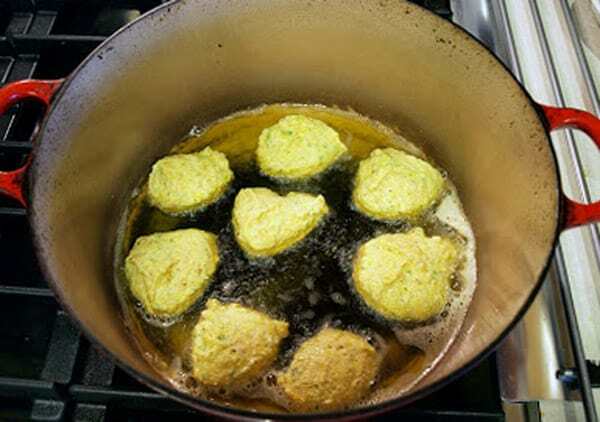 Below I’m going to share with you Gluten-Free Okra Fritters that everyone will love. True story: I once brought them to a church gathering and they were gobbled up like candy. It wasn’t until the platter was empty that I ‘fessed up and told people they were okra fritters. 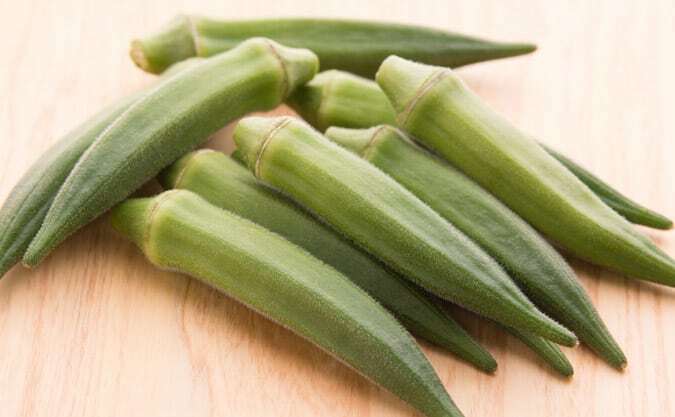 Many replied that they didn’t like okra but they loved these! Okra is one of the easiest plants to grow in the garden. It doesn’t use a lot of water, loves hot weather, can produce without using fertilizers, and (once harvested) freezes well. Seriously, what’s not to love here. 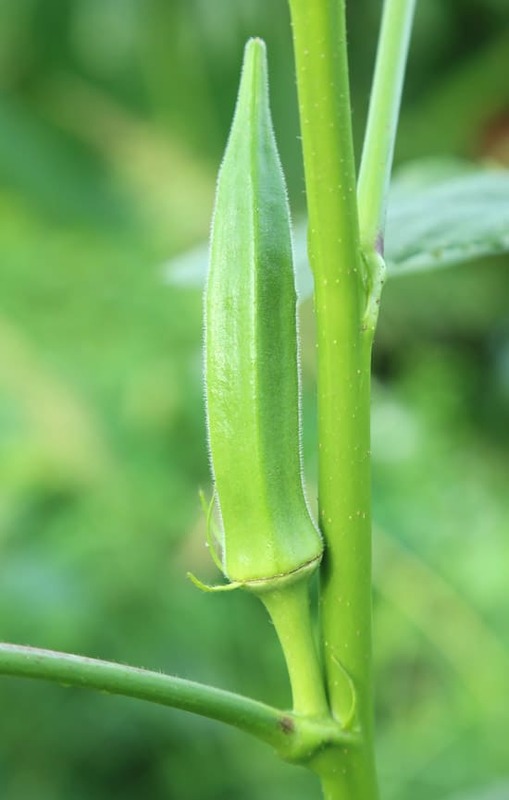 Most gardeners love to grow okra, but many of them don’t really want to eat okra. Well, I’m here to fix that situation for good. I have a recipe that was my son-in-law’s Memaw’s fried okra fritter recipe that I converted into gluten-free okra fritters. This recipe is so simple. All you need to do is toss everything into a Mini-Prep Food Processor. (affiliate) Give it a few pulses until it is well blended. For my oil, I prefer to use avocado oil that I get at Costco. It is pure heaven. If you prefer a milder taste then canola oil works just fine. Next, drop large spoonfuls into the hot oil. Fry on one side, flip, fry on the other side. Drain on paper towels. Lastly, pull them out of the frying pan and drain on paper towels. 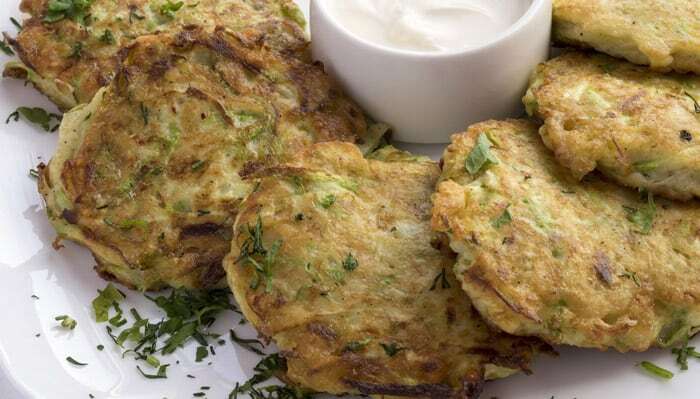 We love to dip them in Greek yogurt, Tzatziki Sauce or ketchup (not at the same time-that would be gross). Add all of the ingredients into a mini-prep food processor. Drop medium size spoonfuls of okra blend into the hot oil. Once browned on one side, flip to cook on the other side. About 3-4 minutes. Press to flatten slightly and allow to cook on the other side another 3-4 minutes. Remove from hot oil and drain on paper towel. You don’t have to use a food processor to create this recipe. Instead, finely chop the okra, onion, and garlic. If you don’t need to follow a gluten-free diet, use regular flour. They will taste almost identical. OK, if you hate okra more than anything else, replace the okra with the same amount of grated zucchini. Be sure to drain the zucchini first or it will spatter in the hot oil. I highly recommend the Namaste Gluten-Free Perfect Flour Blend. (affiliate) Many gluten-free flours include rice flour which tends to burn when frying. This flour does not. When mixed with the cornmeal, it is excellent for frying. This recipe can easily be cut in half. Yum! I love fried okra but, haven’t had it in many years. I will have to give this recipe a try. I am looking forward to trying the avocado oil to fry with. How much oil do you use in your dutch oven for frying? Just enough to fry on both sides. In my 5qt dutch oven I add about an inch. Oh my! I LOVE okra! My kids are a few of those people who can’t stand the slimy texture, but not I. I will have to give this a shot. I love this idea!!! I am just starting to try okra. 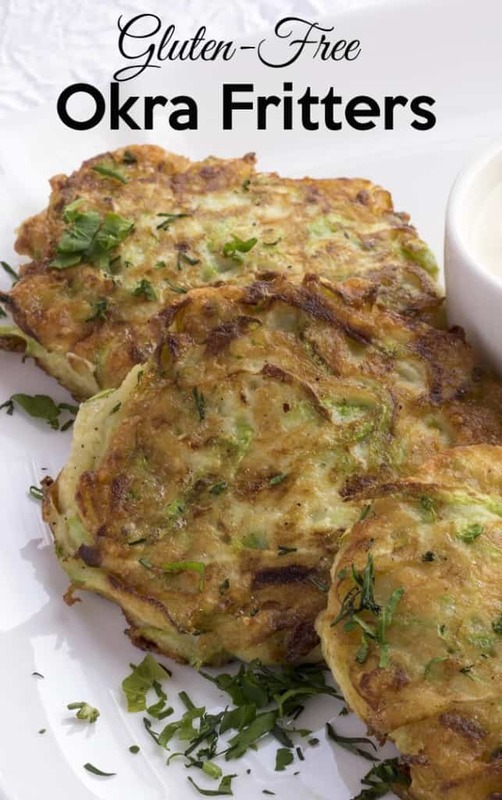 Definitely going to make these – I am sure my little guy will love them as he eats anything with a fritter texture. 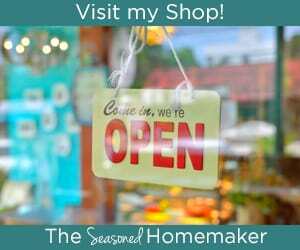 Found your blog on the Friday Family Fun link party. So glad I did! Thank you for the recipe, is it ok to use frozen okra? Do I need to cook it and than blend it with the rest of ingredients? Thank you again. I use frozen okra all the time. No need to cook, then blend. 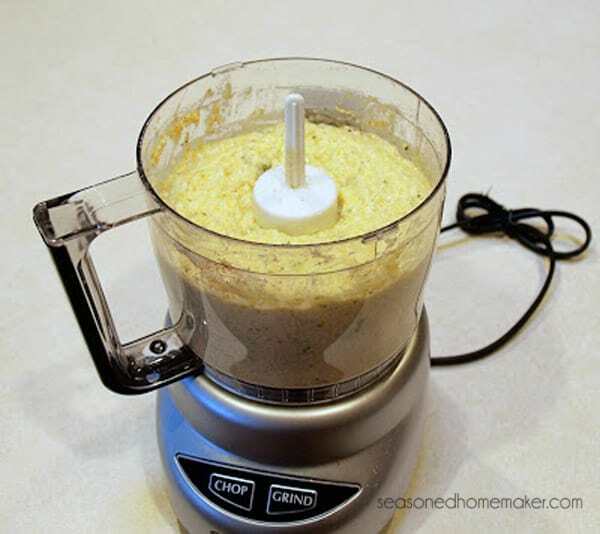 I toss everything into a Cuisinart and process until it is well blended. Takes a bit longer with frozen okra, but other than that it’s pretty fast. I usually roast my okra, since I have to eat gluten free. I also am corn free and oat free. What could I use in place of the cornmeal? Try Namaste Perfect Blend Gluten-Free/Dairy-Free Flour.